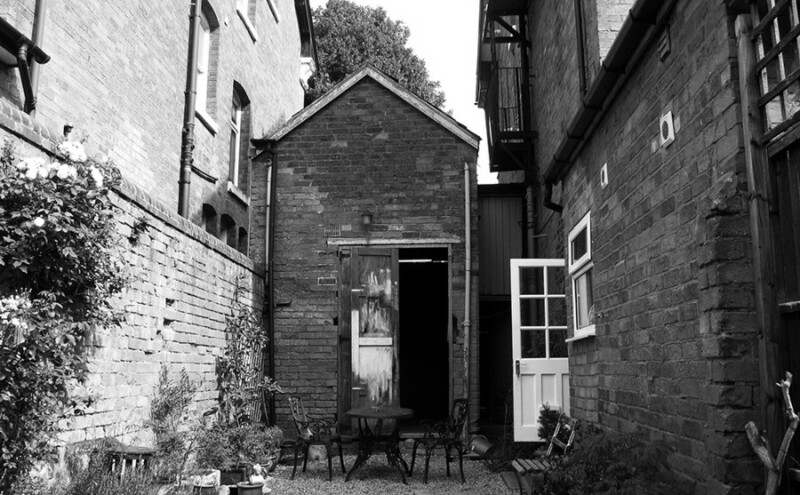 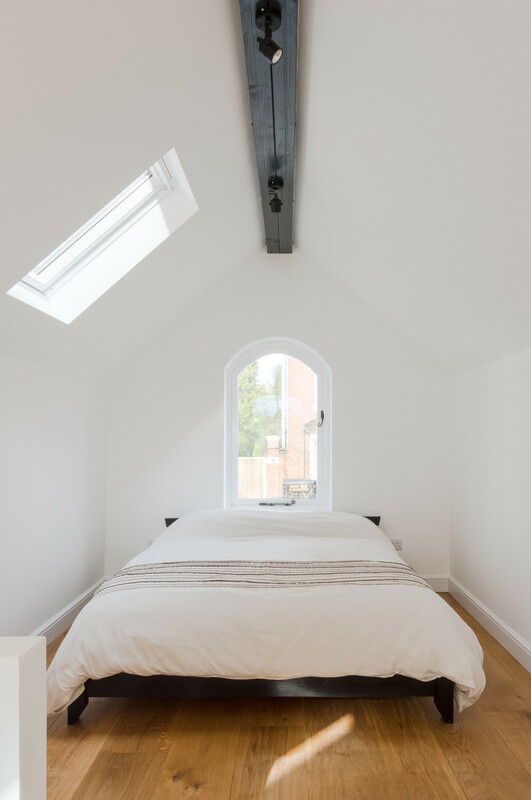 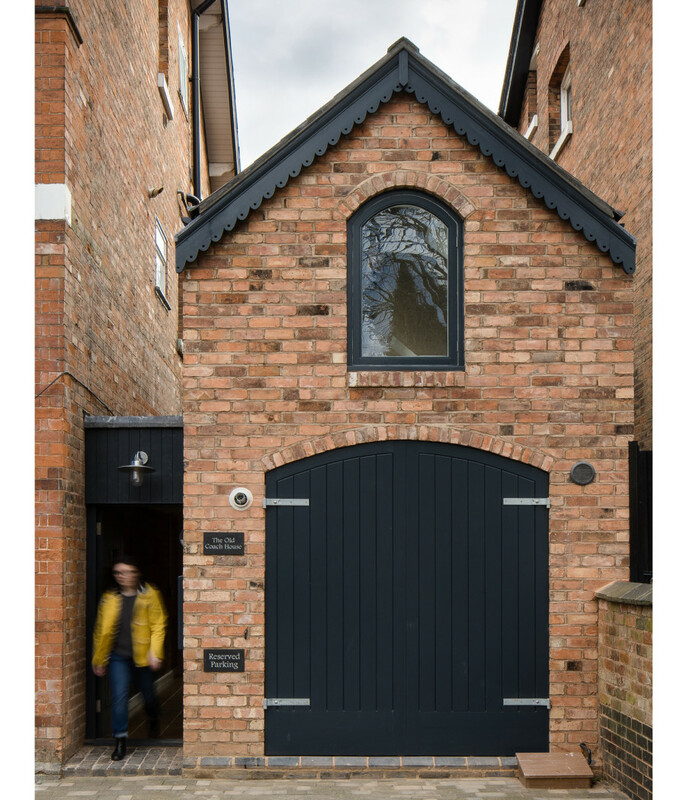 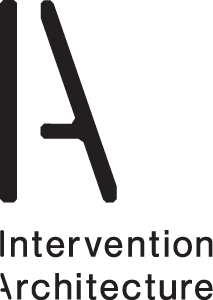 Intervention Architecture have designed and project managed the complete refurbishment and extension of an existing outbuilding in Moseley, Birmingham, to create a Writer’s studio and coach house. 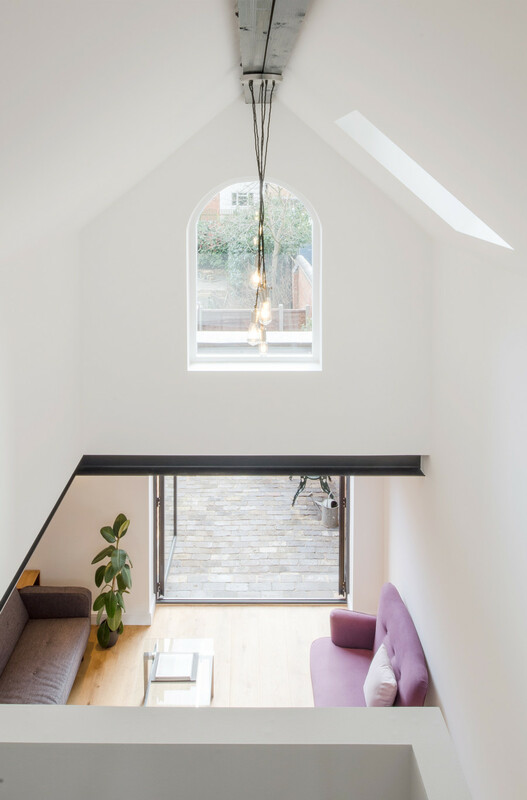 Filling the central space with natural light, the double height void creates a unique open area within the studio to connect the lower and upper floors, enriching the atmosphere with exposed material textures and opening views out to the secluded garden. 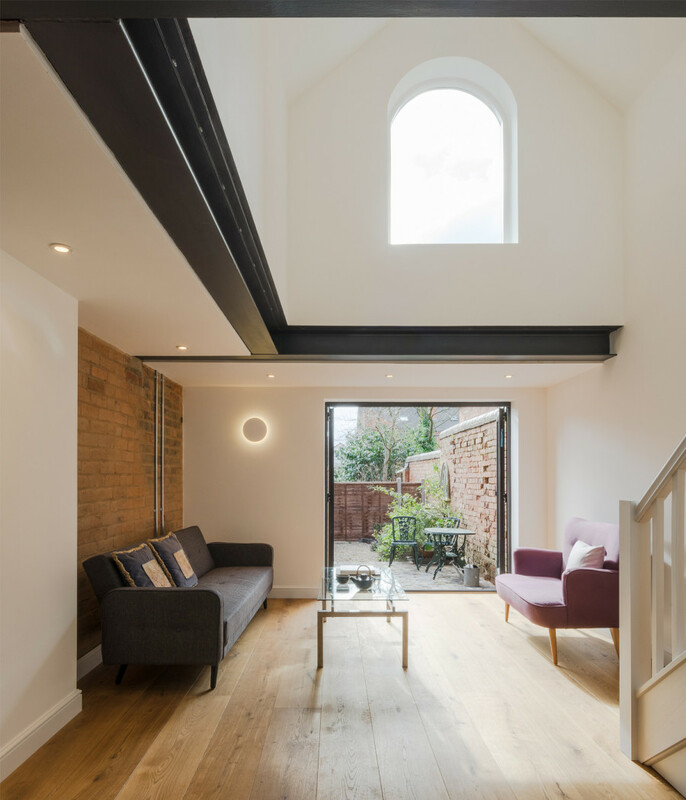 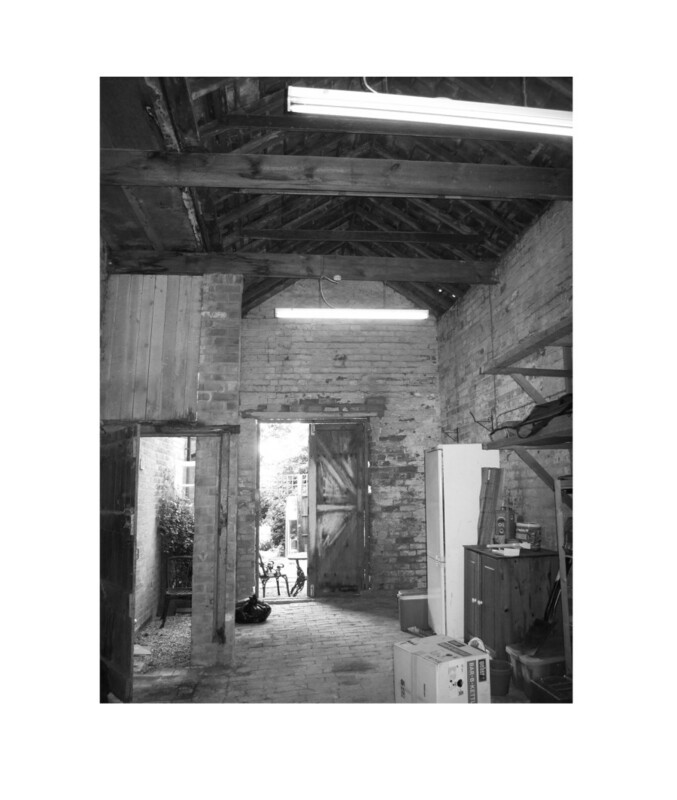 A key approach from the conception of the project was the Writer’s view when at work, who is now able to enjoy looking over the mezzanine level out to the garden via an arched south facing window, creating an outlook for inspiration. 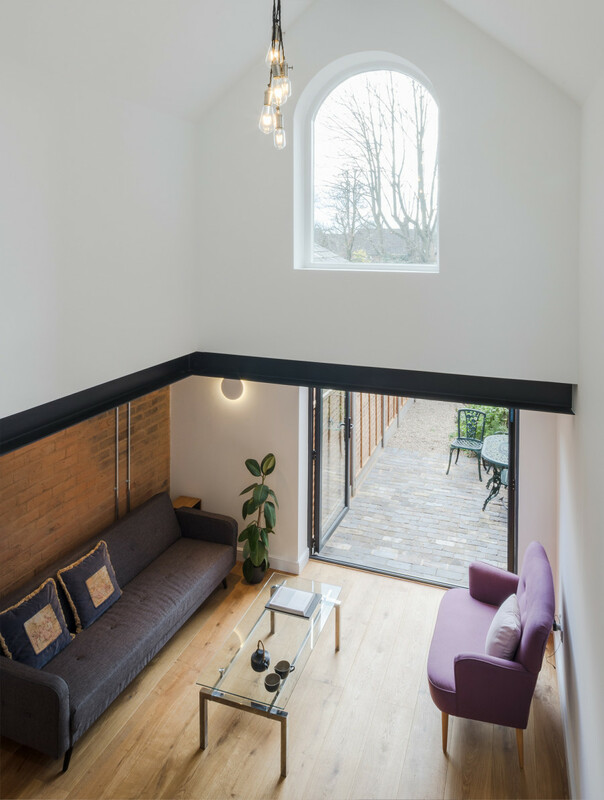 Bespoke joinery has been designed to be concealed, to allow the main spatial areas to be open plan, with views out from all spaces through generous new window openings. 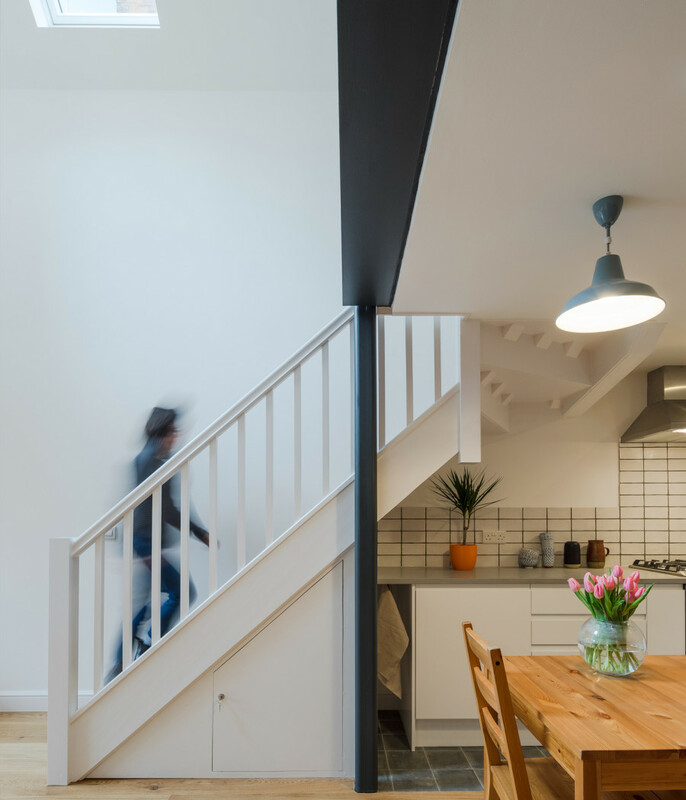 The ground floor of the studio now contains a dramatic main living area with open plan kitchen and dining, separate bathroom and storage space, in addition to external landscaping. 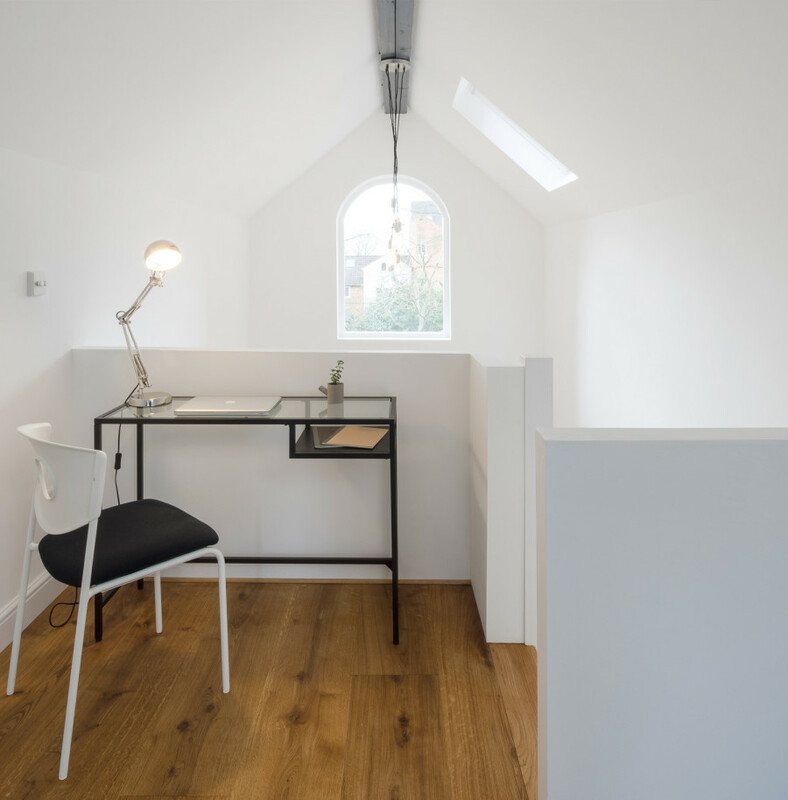 The upper mezzanine deck includes a bed area and principal positioning of the study space for the writer. 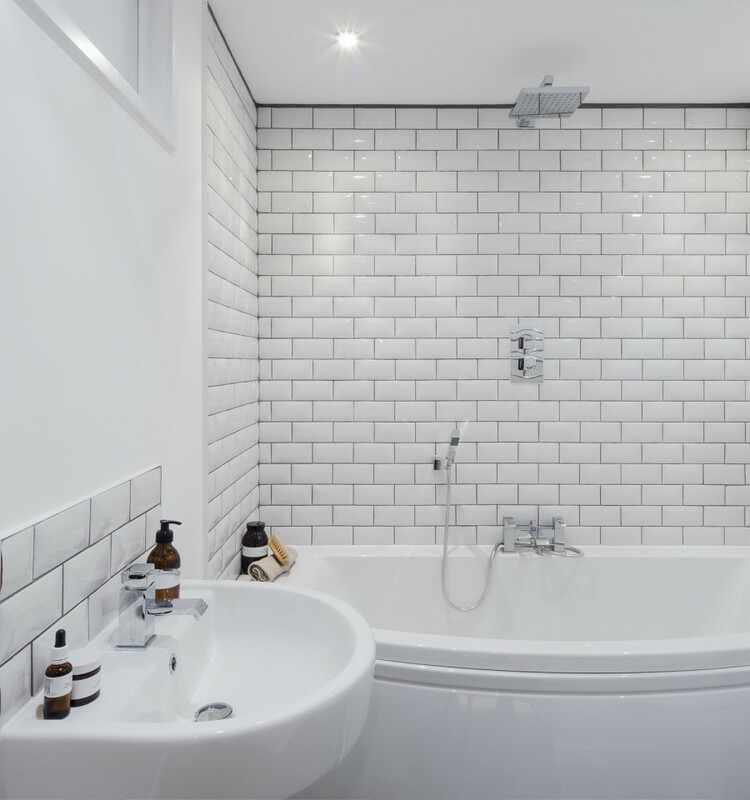 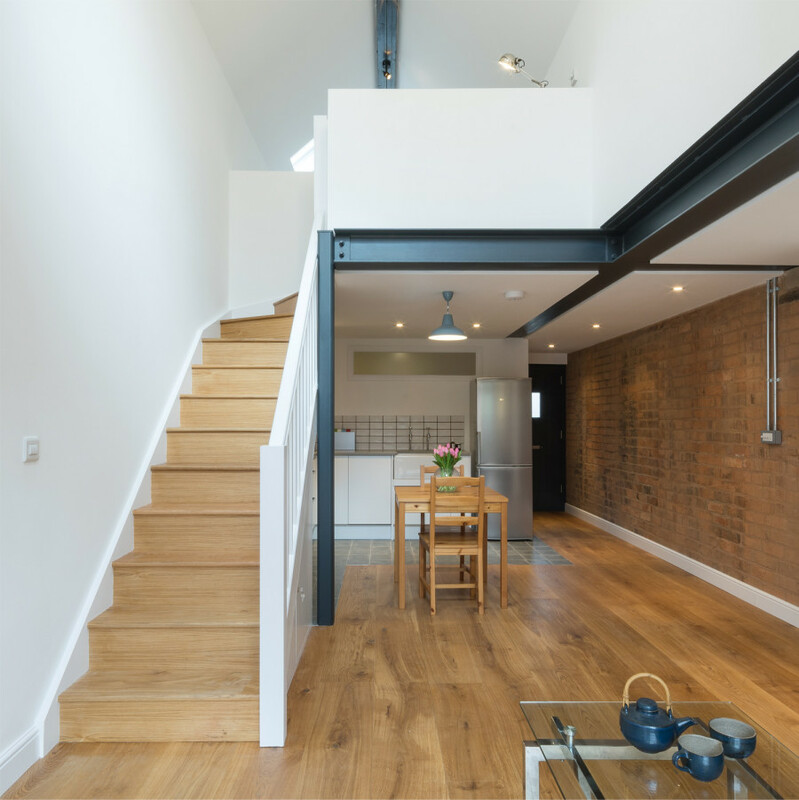 As featured on Dezeen / Channel 4’s George Clarks Amazing Spaces / Grand Designs Magazine / Dwell. 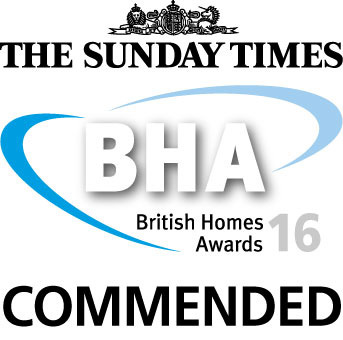 Winner of Commendation in The Sunday Times British Homes Awards 2016. 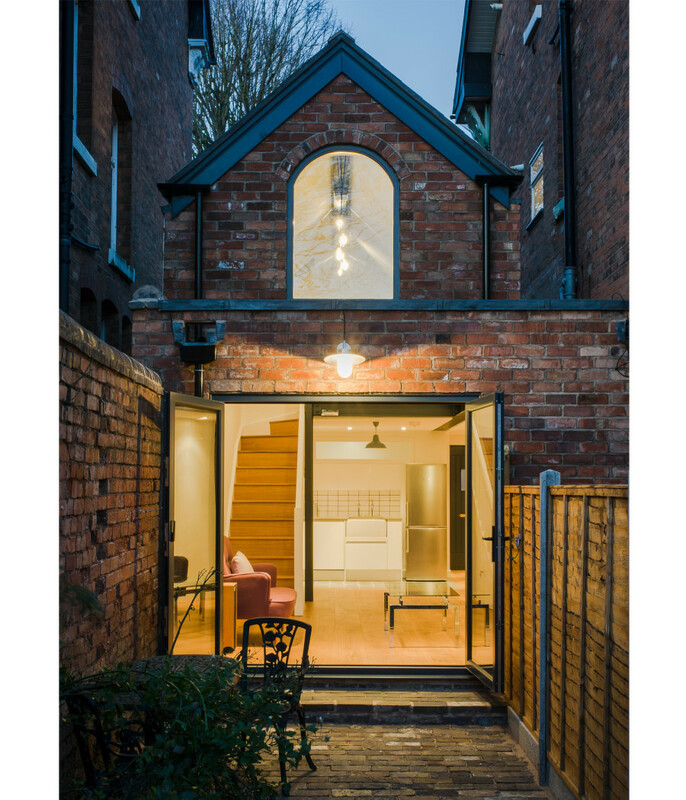 Winner of iStructE West Midlands Residential or Community Structures Award 2016. 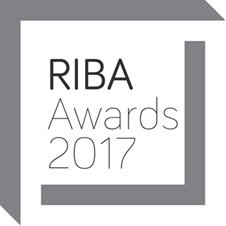 Finalist for RIBA West Midlands Award 2017.